If you live an active lifestyle and want your dog to be able to go with you on your adventures, then you need to make sure that you do everything possible to keep them safe. Even if you think that your dog is a fairly decent swimmer, it’s a good idea to invest in a life jacket to make sure that he is safe when he is in the water. This is especially true for smaller dogs, as they can have trouble in rough water. 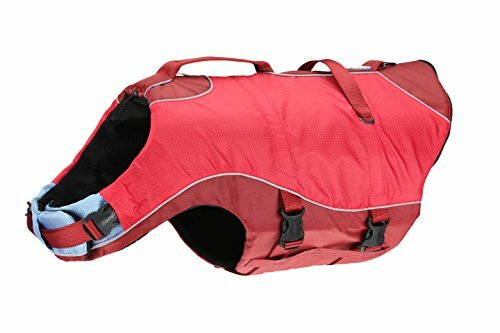 I put together this selection of the best life jackets for small dogs so that you can take your furry friend with you wherever you go without having to worry about its safety. One of the most important things that you will want to consider when buying a life jacket for your dog is how well it fits. Just like with humans, you want a secure fit so that you don’t have to worry about the life jacket slipping off of your dog’s body or making it difficult for them to be comfortable while in the water. This option from RUFFWEAR features a telescoping neck closure that can be easily adjusted so that you can clinch it close to your dog’s neck and keep him safe. Additionally, with the side straps and straps under the body, you will be able to keep your dog safe in its vest without it being too tight or too loose. There’s additional flotation included underneath your dog’s stomach to help him stay afloat, which is ideal if you are worried about the safety of the water. Thanks to the handle on top of the vest, you can easily pull your dog out of the water if you think that he is in danger. 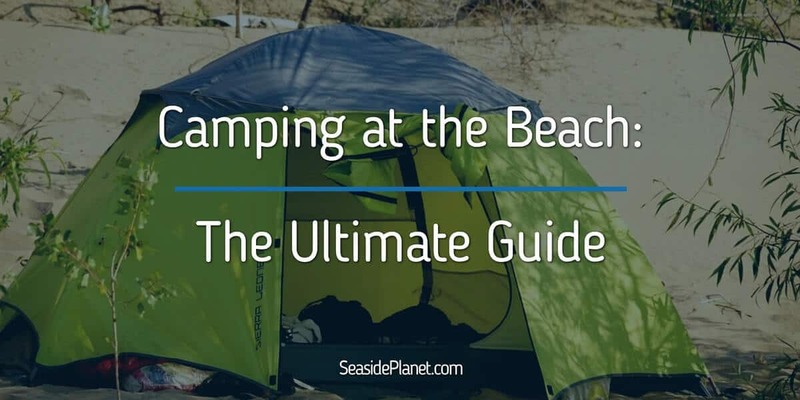 There aren’t any buckles or straps that are exposed or hanging off of the vest itself, which means that your dog won’t snag on anything while it is swimming. If you worry about how you are going to lift your dog up and out of the water, then you are sure to love that this jacket comes with two handles securely attached to the back. There is a comfortable neoprene belly band that can be adjusted to ensure that your dog is snug in the life jacket, and the neck flaps and chest flaps are also completely adjustable for the best possible fit. 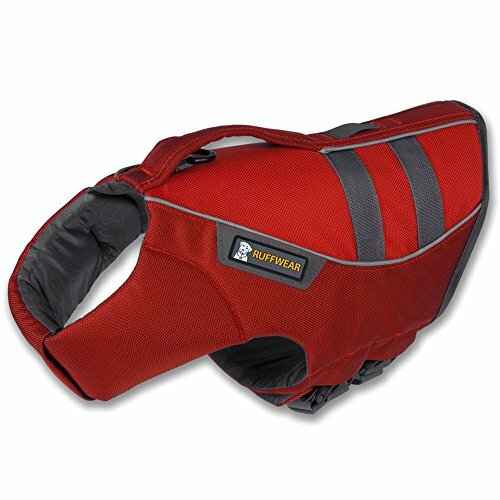 Thanks to the quick-release buckles, you can easily get this vest off of your dog when they are ready to get out of the water, and you can trust that the front neck float will help your pet keep its head up while swimming. No matter how strong of a swimmer your dog is, this is an important feature to consider so that when he gets tired, you won’t have to worry about his safety. If you want to buy a jacket that will work not only as a life jacket while your dog is out swimming or in a boat, but also as a raincoat, then you’ll love this option from Kurgo. 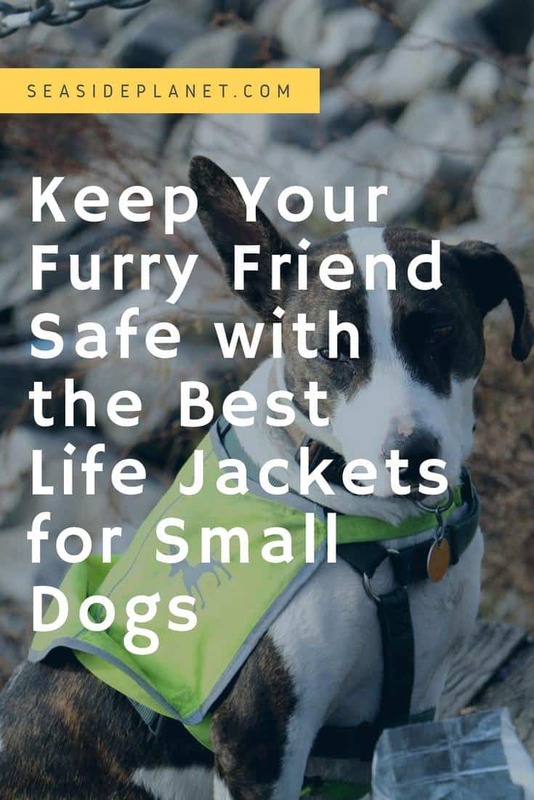 Leave the floatation layer in the life jacket if you are going to be taking your dog to the water and want him to be safe while swimming, or remove it, and you’ll have a great jacket that will keep your dog warm and dry on chilly or drizzly days. No matter what you plan on doing with your dog, you are sure to love the durable ripstop material that can stand up to all-day play and lifting your pet in and out of the water. 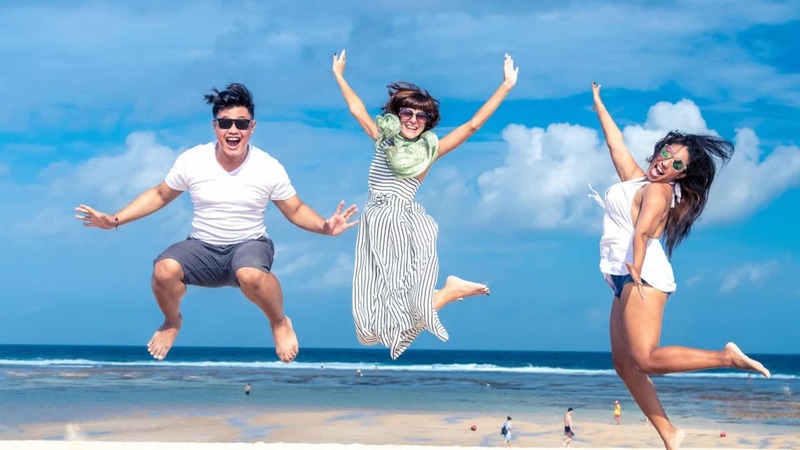 The lifetime warranty offered by Kurgo will protect you against any manufacturer defects, which is great if you want peace of mind when buying a life jacket. I love that this vest is made with bright fabric and reflective trim so that you can easily locate your dog in any weather. 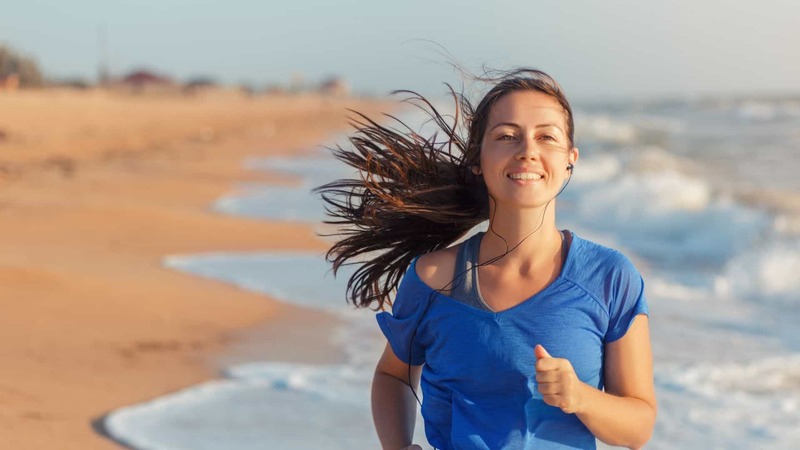 Additionally, the two metal D-rings that are for you to connect your leash are firmly attached to the vest so that you don’t need to worry about them popping off. 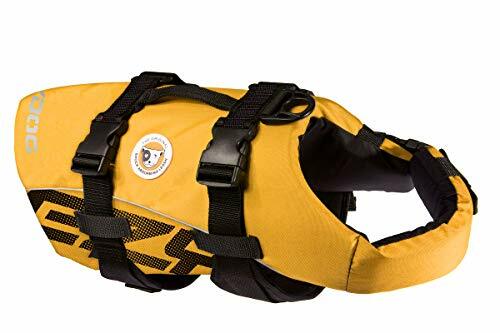 Unlike other dog life vests that only offer buoyancy and protection along the front part of your dog, this vest from EzyDog offers support along the entire body, which is ideal if you have any concerns at all about your dog being able to swim in the water and not be in danger. With 50% more floatation material included in this life vest than in other options on the market, you won’t have to worry about your dog’s safety, even if he isn’t a particularly great swimmer. While the material feels very light-weight, it is actually incredibly durable and easy to clean, making it ideal for all types of water, as you can hose off any dirt or debris that your dog collects while swimming. I love that your dog will be protected against the dangers of catching cold while in the water, thanks to the full-body design. 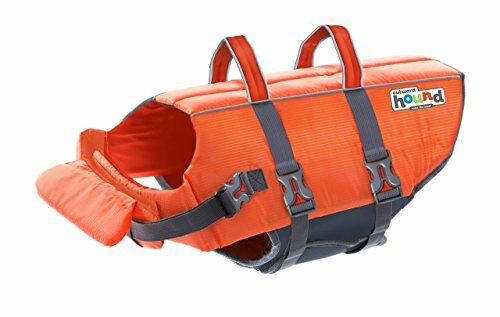 Additionally, unlike some other life jackets on the market, this one fits true to size, making it easy to find the right one for your dog. 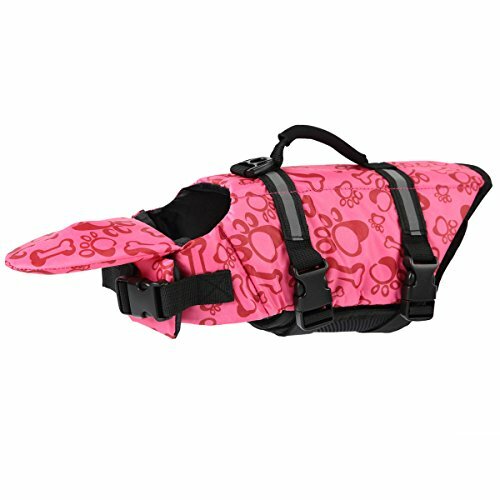 This option from PETCEE proves that you don’t have to sacrifice your dog’s safety in or around the water to ensure that he is going to be comfortable when wearing the life jacket. Because it has three different straps that will wrap around your dog and hold the jacket in place, you can easily make any necessary adjustments to keep your dog comfortable when wearing this jacket without compromising safety and security. No matter what color you chose, the D-ring on the back will make it easy to leash your dog, and it is sturdy enough to stand up to long hours of play in and out of the water. Thanks to the chin float, your small dog won’t struggle with keeping his head up and out of the water, which will give you peace of mind that he won’t run into problems when swimming. If there is an issue, the grab handle on the back of the life jacket is securely attached and wide enough so that you can grab it in an emergency and pull your dog quickly and easily to safety. 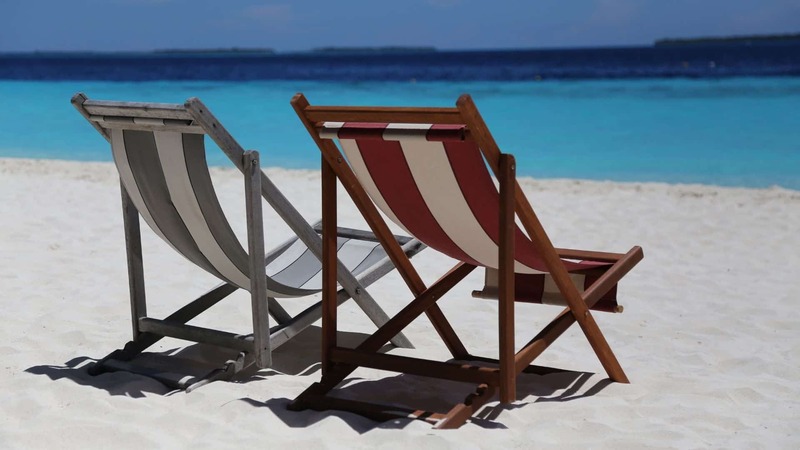 Taking your dog to the beach, river, or lake is a lot of fun, but as a dog owner, you need to make sure that you are responsible for the health and safety of your pet, and one way to do that is by investing in a quality life jacket. I know that it can be difficult to choose between available models on the market, which is why I chose five great options for you to look at. 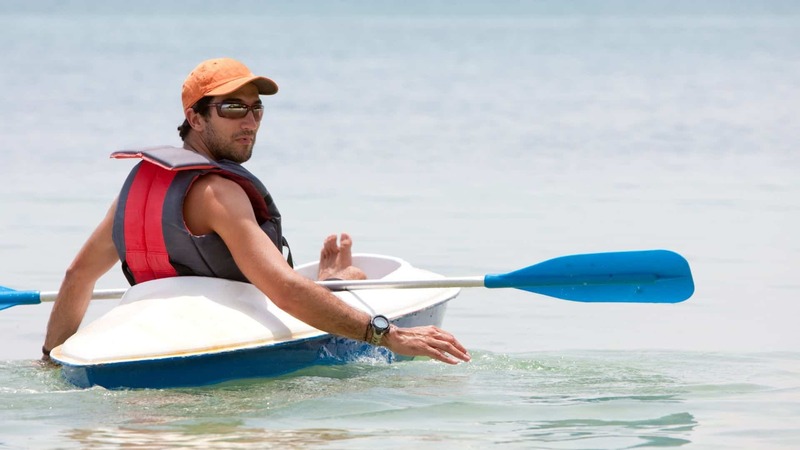 No matter whether you want a life jacket that will double as a rain jacket, one that offers complete body coverage, or one with chin support, you can find the perfect life jacket and keep your furry friend safe in the water with one of these amazing life jackets.